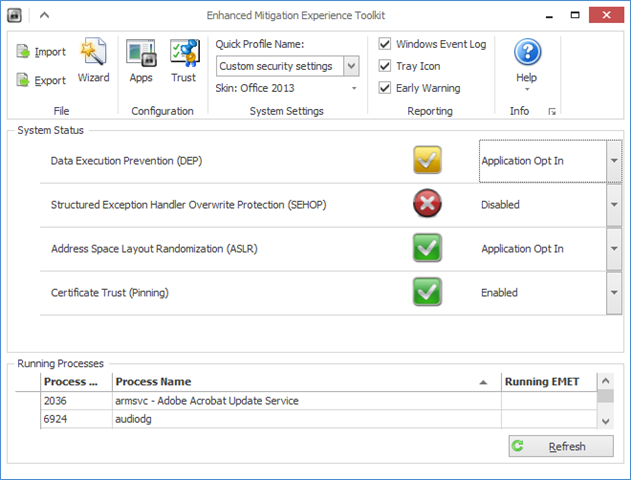 Microsoft has announced the final release of version 4.0 of the Enhanced Mitigation Experience Toolkit. to block exploits malware will commonly use to infect your PC. speedy access to the program’s various features. even if they don’t have the EXE extension. Better still, EMET is no longer just some little-known geeks-only app. welcome reassurance that the program really is ready for prime time. software, of course, so it’s wise to download and read the latest user guide, just to make sure you understand the issues. For the most part, though, EMET 4.0 is an excellent tool which significantly improves your PC’s security, and it’s available for download now.